Hasson is only 23, but already she’s co-starred on the series The Finder (2012) and Twisted (2013-2014). 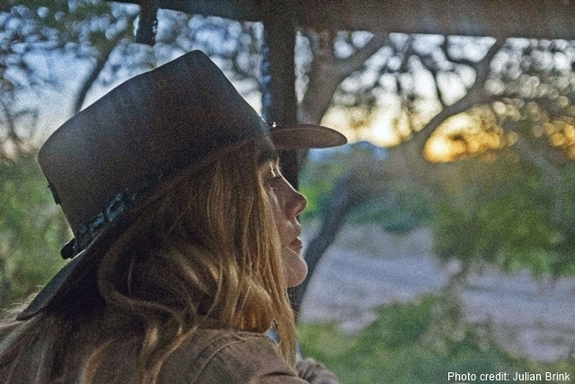 On the big screen she’s appeared as Billie Jean Jones, second wife of Hank Williams, in I Saw the Light (2015) and as a young nun in Novitiate (2017). 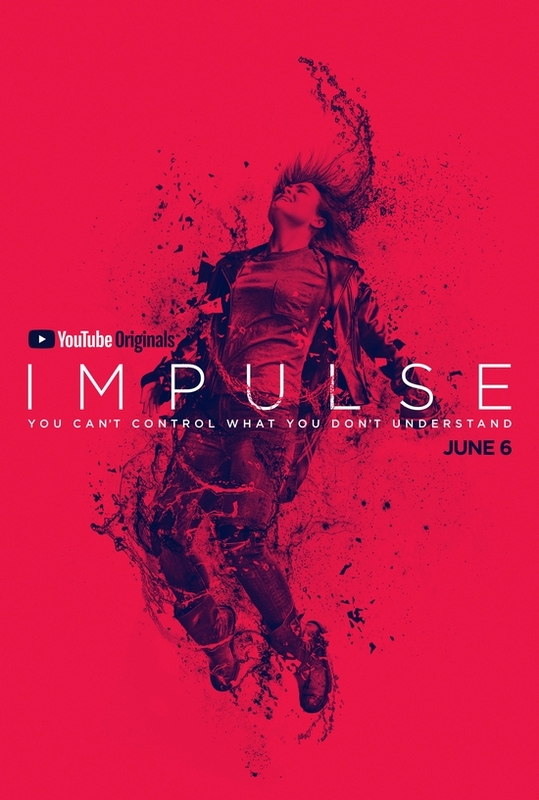 Her latest project is Impulse, a show that will premiere June 6 on YouTube Red. Based on Steven Gould’s 2013 novel of the same name and executiveproduced by Doug Liman, Impulse unfolds in the small town of Reston, New York, and centers on Henrietta “Henry” Coles (Hasson), a high-school outsider who attracts the attention of a star athlete, Clay (Tanner Stine). Henry learns through horrible circumstances that she possesses the ability to teleport: Clay attacks her in his pickup truck, which triggers the teleportation process, and that process crushes the truck, paralysing Clay. That all occurs in the first episode. Subsequent episodes will explore the ramifications of that night and address how Henry will harness her power thereafter. 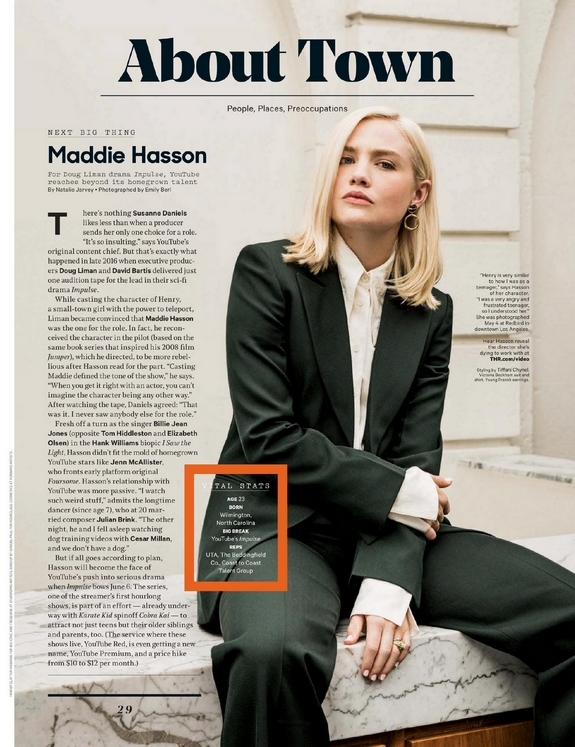 Maddie Hasson stars as 16-year-old Henry in the new Youtube Red series premiering June 6th. 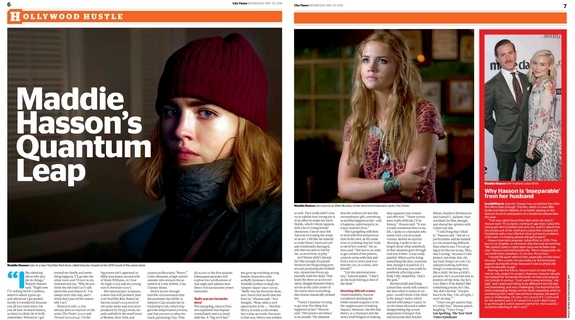 The show follows a girl who escapes a traumatic event by using her extraordinary abilities. 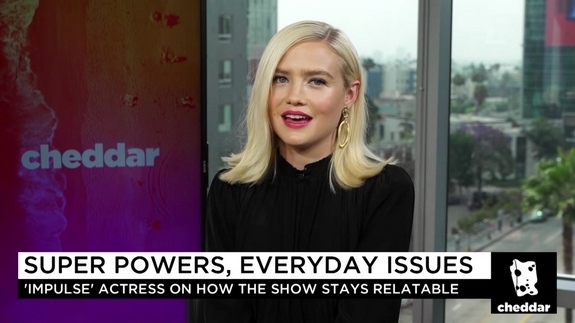 Hasson sits down with Cheddar to discuss how the show is relevant in the #Metoo era, and what it’s doing to showcase strong female characters. All ten episodes coming June 6 ! In the upcoming YouTube Red Originals drama series IMPULSE, 16-year-old Henry Coles is an outsider in her new town of Reston, New York. With a major chip on her shoulder and no friends, she remains withdrawn and isolated, but everything changes when a traumatic encounter with a classmate triggers something deep within Henry— unleashing a power she cannot control.